The Isles of Scilly (; Cornish: Syllan or Enesek Syllan) are an archipelago off the south western tip of the Cornish peninsula. One of the islands, St Agnes, is the most southerly point in both England and the United Kingdom, being over 4 miles (6.4 km) further south than the most southerly point of the British mainland at Lizard Point. The islands may correspond to the Cassiterides (Tin Isles) visited by the Phoenicians and mentioned by the Greeks. However, the archipelago itself does not contain much tin—it may be that the islands were used as a staging post. The islands' position produces a place of great contrast—the ameliorating effect of the sea, greatly influenced by the North Atlantic Current, means they rarely have frost or snow, which allows local farmers to grow flowers well ahead of those in mainland Britain. The chief agricultural product is cut flowers, mostly daffodils. Exposure to Atlantic winds also means that spectacular winter gales lash the islands from time to time. This is reflected in the landscape, most clearly seen on Tresco where the lush Abbey Gardens on the sheltered southern end of the island contrast with the low heather and bare rock sculpted by the wind on the exposed northern end. The islands are famous among birdwatchers for their ability to attract rare birds from all corners of the globe. The peak time of year for this is generally in October when it is not unusual for several of the rarest birds in Europe to share this archipelago. One reason for the success of these islands in producing rarities is the extensive coverage these islands get from birdwatchers, but archipelagos are often favoured by rare birds which like to make landfall and eat there before continuing their journeys and often arrive on far flung islands first. The tidal range at the Isles of Scilly is high for an open sea location; the maximum for St Mary's is 5.99 m (19.7 ft). Additionally, the inter-island waters are mostly shallow, which at "spring tides" allows for dry land walking between several of the islands. Many of the northern islands can be reached from Tresco, including Bryher, Samson and St Martin's (requires very low tides). From St Martin's White Island, Little Ganilly and Great Arthur are reachable. 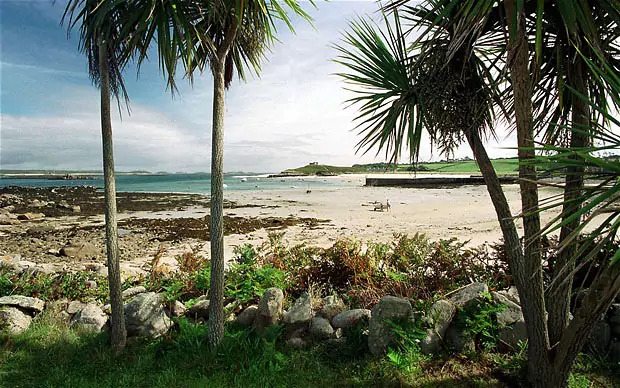 Although the sound between St Mary's and Tresco, The Road, is fairly shallow, it never becomes totally dry – but according to some sources it should be possible to wade at extreme low tides. Around St Mary's several minor islands become accessible, including Taylor's Island on the west coast and Tolls Island on the east coast. From Saint Agnes, Gugh becomes accessible at each low tide, via a tombolo. The Council consists of 21 elected councillors — 13 of whom are returned by the ward of St Mary's, and two from each of four "off-island" wards (St Martin's, St Agnes, Bryher, and Tresco). The latest elections took place on 2 May 2013; all 20 elected were independents (one seat remained vacant). Education is available on the islands up to age 16. There is one school, the Five Islands School, which provides primary schooling at sites on St Agnes, St Mary's, St Martin's and Tresco, and secondary schooling at a site on St Mary's. Secondary students from outside St Mary's live at a school boarding house (Mundesley House) during the week. In 2004, 92.9% of pupils (26 out of 28) achieved five or more GCSEs at grade C and above, compared to the English average of 53.7%. Sixteen- to eighteen-year-olds are entitled to a free sixth form place at a state school or sixth form college on the mainland, and are provided with free flights and a grant towards accommodation. Post eighteen, suitably qualified students attend universities and colleges on the mainland. Air access to the islands is via St Mary's Airport. Fixed-wing aircraft services, operated by Isles of Scilly Skybus, operate from Land's End, Newquay and Exeter. The scheduled helicopter service, which previously linked Penzance Heliport with St Mary's Airport and Tresco Heliport, ceased at the end of October 2012; Tresco Heliport is now closed to scheduled services. Limited housing availability is a contentious yet critical issue for the Isles of Scilly, especially as it affects the feasibility of residency on the islands. Few properties are privately owned, with many units being let by the Duchy of Cornwall, the council and a few by housing associations. The management of these subsequently affects the possibility of residency on the islands. Housing demand outstrips supply; a problem compounded by restrictions on further development designed to protect the islands' unique environment and prevent the infrastructural carrying capacity from being exceeded. This has pushed up the prices of the few private properties that become available and, significantly for the majority of the islands' populations, it has also affects the rental sector where rates have likewise drastically increased. 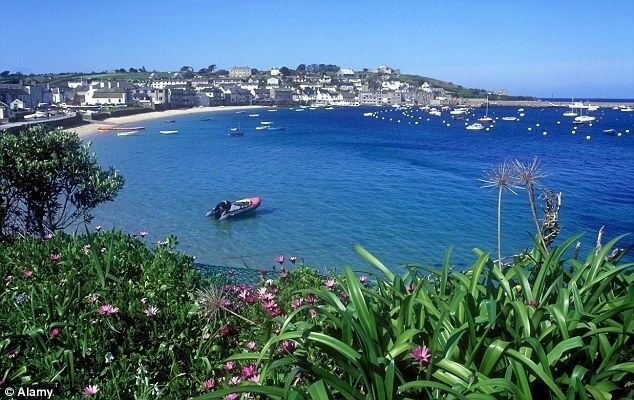 According to the 2001 UK census, 97% of the population of the islands are white British, with nearly 93% of the inhabitants born in the islands, in mainland Cornwall or elsewhere in England. Since EU enlargement in 2004, a number of eastern Europeans have moved to the island, joining the Australians, New Zealanders and South Africans who traditionally made up most of the islands' overseas workers. By 2005, their numbers were estimated at nearly 100 out of a total population of just over 2,000. This has been called 'the land that crime forgot'. The islands are served by a radio and television transmitter at Telegraph, on St Mary's, which is a relay of the main transmitter at Redruth (Cornwall) and broadcasts BBC Radio 1, 2, 3, 4 and BBC Radio Cornwall and the range of Freeview television and BBC radio channels known as 'Freeview Light'. Radio Scilly, a community radio station, was launched in September 2007. Internet access is available across the inhabited islands by means of superfast fibre broadband by BT. 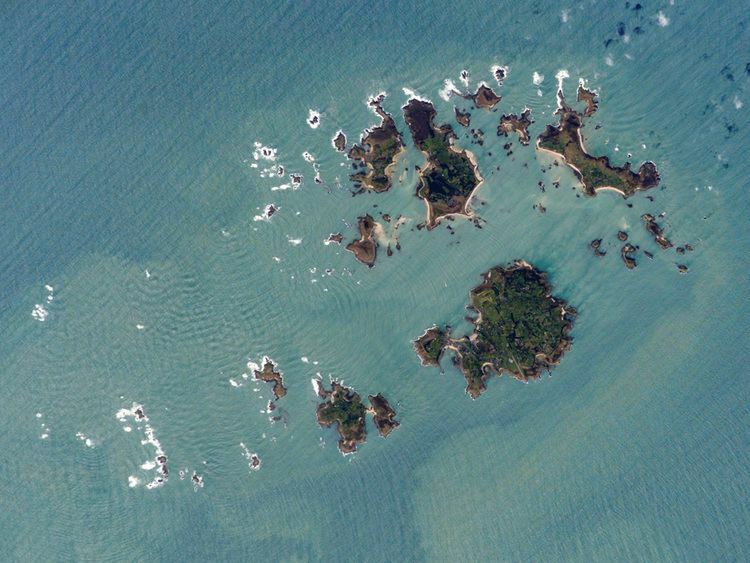 The islands connected via fibre are St. Mary's, Tresco and Bryher. St. Martins, St. Agnes and Gugh are connected via a new fibre microwave link from St. Mary's, with fibre cabinets on each island, including Gugh. Mobile phone coverage is available across the archipelago, with 2G, 3G and 4G services available across all islands, although coverage does vary between operators. Vodafone and O2 provide strong 4G coverage across all the islands, whilst EE's is somwhat limited beyond Gugh towards St. Agnes. Three provide 3G coverage to all the islands, and 4G is due shortly. 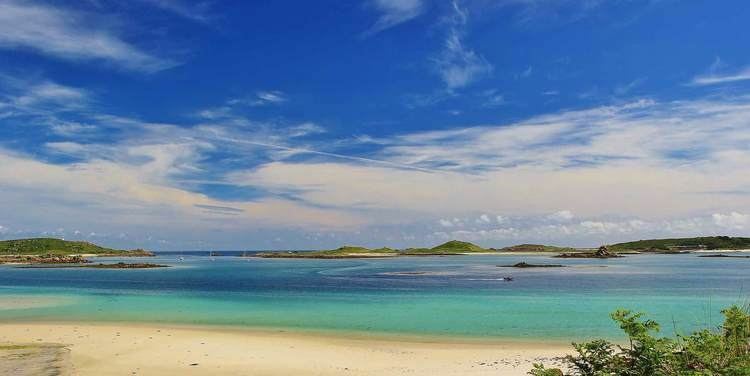 The Isles of Scilly were featured on the TV programme Seven Natural Wonders as one of the wonders of South West England. Since 2007 the islands have featured in the BBC series An Island Parish, following various real-life stories and featuring in particular the newly appointed Chaplain to the Isles of Scilly. A 12-part series was filmed in 2007 and first broadcast on BBC2 in January 2008. After Reverend David Easton left the islands in 2009, the series continued under the same name but focused elsewhere..